The image on a TV is always a little too blurry for my taste, and the quality of a VGA image is very superior. 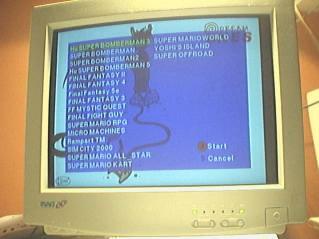 I had always dreamed to be able to use my SNES on a PC monitor, but the SNES did not have a VGA output. When I learned that the Dreamcast could output a VGA signal, I installed a VGA connector on it almost instantly. Simple. The dreamcast can output VGA from it's A/V output it the rigth pin is connected to ground. This is usually done by a VGA box. I found the pinout of the A/V connector and a schematic for a VGA box. 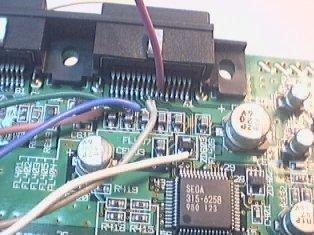 Instead of building the circuit in an external box, I decided to build it inside the dreamcast. I have been asked a few times one which side should the negative pin of the capacitors go. They must be on the VGA connector side. The same rule apply for the S-Video output. 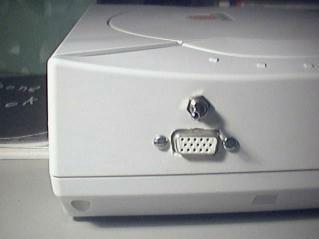 Here are a few pictures of my VGA Dreamcast. 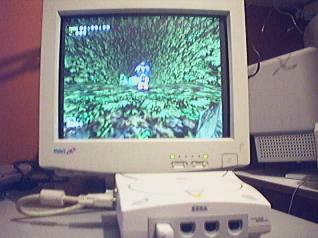 Sonic on a VGA screen. The details are very sharp on this monitor. I installed the connector on the side of the console. The switch selects between VGA and NTSC sync frequencies.